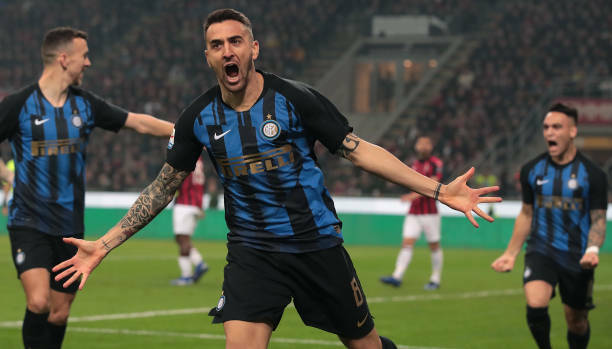 Tottenham Hotspur are interested in signing Inter midfielder Matias Vecino according to a report from Turin based newspaper Tuttosport. Vecino has long been one of the players Mauricio Pochettino has liked and Spurs have recently considered him as a player who could potentially replace Mousa Dembele following his move to China. In addition to the Uruguayan, the north London club have also taken a liking to Napoli star Amadou Diawara but they are seemingly more orientated toward Vecino who they believe could make an immediate impact to their efforts to cut the gap on the other top clubs in the Premier League. The report concludes that Inter would be willing to move the 27-year-old former Fiorentina player on but only if they are to receive an offer of at least €30 million. This season Vecino has made 32 appearances across all competitions for a total of 2262 minutes. He has contributed four goals and tallied four assists.